The Trello community is filled with proactive people and inspiring individuals who want to broadcast their board wins with the world. 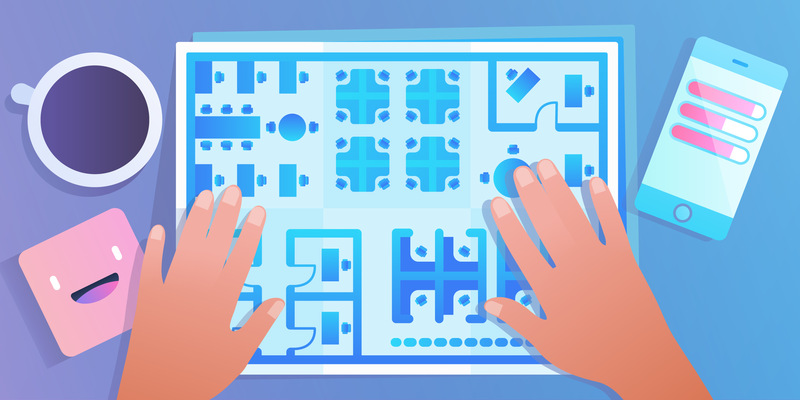 For the full spectrum of Trello community templates and tips, head to Trello Inspiration: A resource you can use to search for, explore, and copy Trello boards for just about any project or need. 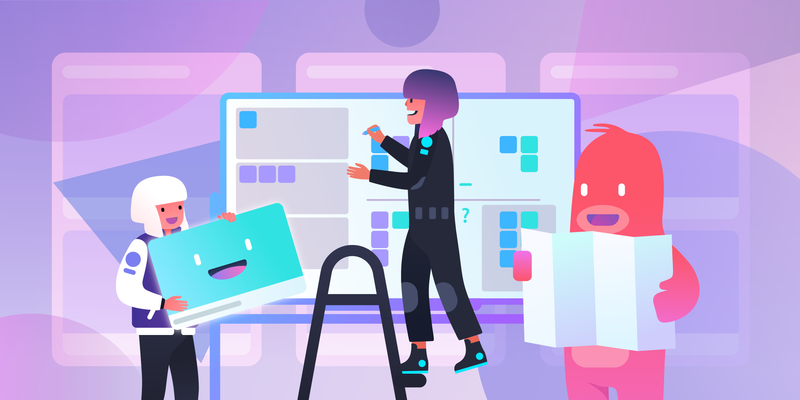 In celebration of this new and improved portal, we’re showcasing stories and sample boards of influential Trello users who inspire us to be more creative, organized, and successful. 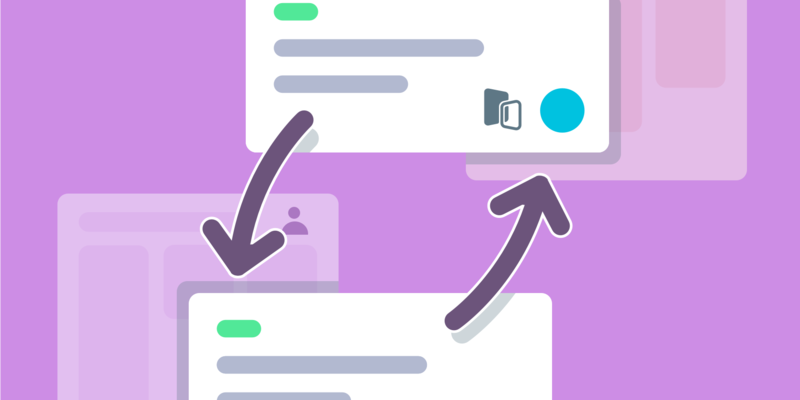 Keep reading for a round-up of seven Trello community stories from around the web that feature clever ways to use boards, from organizing kids’ artwork to managing YouTube and podcast editorial calendars, setting goals and collaborating as a remote team to the ultimate to-do list from a productivity expert, and more! Heather is a busy mom, blogger, small business owner, and (shocker) a genuinely very busy human. Since starting a family, she has faced immense challenges and uphill battles that felt very isolating at times. But she powers through with gusto, and has learned a lot along the way. She started her blog, The Balanced Mama, as a way to connect and share advice with other busy parents. 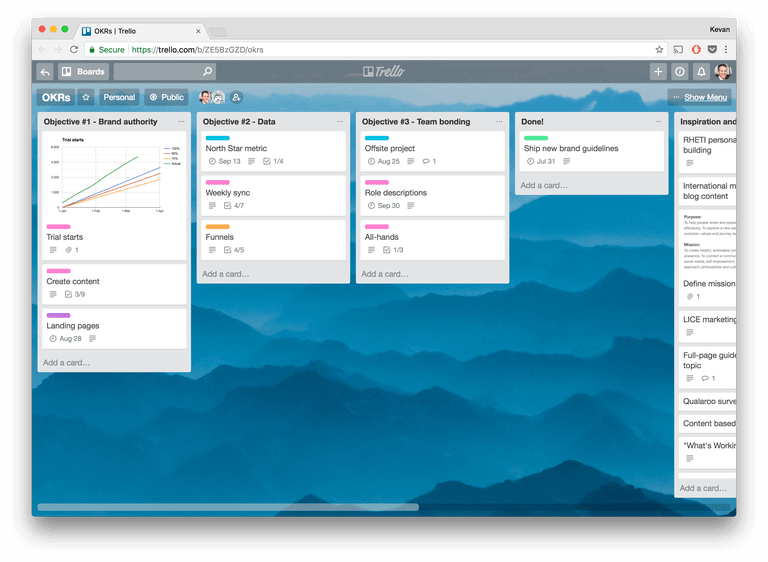 One of the ways she stays on track is with various Trello boards! 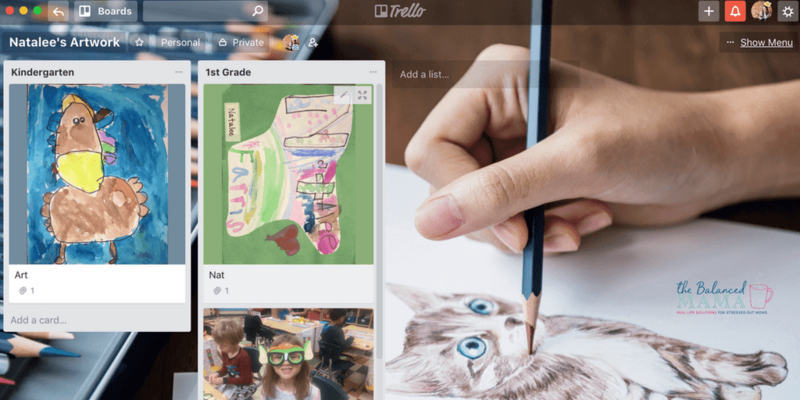 Here she shares how she organizes her kids’ artwork projects digitally with separate Trello boards that hold memories and precious masterpieces that she can always reference. 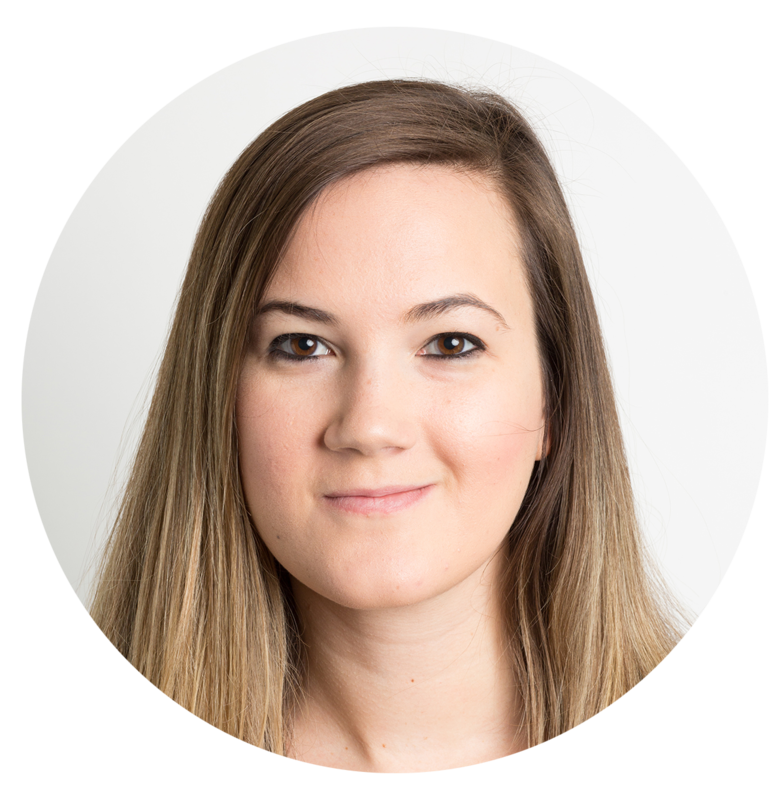 She also has Trello boards for meal planning, back to school to-dos, budget and shopping lists, and even to stay on track with household chores. Scott Friesen wants to eliminate “busyness.” His entire YouTube channel is dedicated to helping people stop being busy—and actually be productive. He has reviewed countless project management apps, providing demos on their uses and benefits, and ultimately sheds light on how different tools can help you maximize your time. It goes without saying that he knows the productivity ropes.  That’s why he’s created an “Ultimate To-Do List Trello board” and broken down each step in his latest YouTube video (above). You can even grab his to-do list board and make it your own. As a bonus, explainer cards at the top of each list provide tips on what kind of cards would go there. Francesco D’Alessio is an energetic productivity professional. He’s a vlogger, small business owner, and constant content creator. He is determined to always find new ways to stay productive, and share his findings with his 30K+ YouTube subscribers. This requires maintaining a steady stream of new videos to put up on his channel at regular intervals. He manages all of this with a Trello board, of course. His Editorial Calendar board is his way of keeping track of which videos are due to publish, which need editing, and to maintain a list of ideas for future content. It’s a lot to juggle, but his board helps him keep the process visual. You can grab his Editorial Calendar board from the Trello Inspiration gallery. Copy it and make it your own! Chances are you’ve read something Kevan Lee has written. In addition to being the Director of Marketing at Buffer, he’s also a well-known marketing expert and prolific writer. In short, he’s a productivity machine. Kevan boasts countless Trello boards to keep himself on track, including one to manage goal setting, another for opportunities related to his personal brand, and an awesome one to keep track of conversations and progress for all of the people he manages at work. Marketing teams everywhere trust tools made by Buffer to help them schedule, track, and analyze their social media presence. 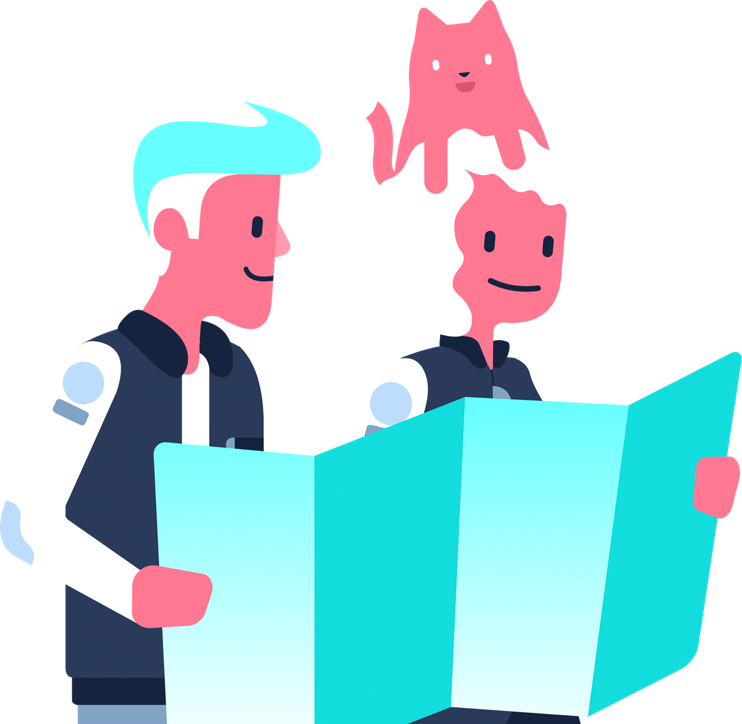 As a team, Buffer is entirely remote and is constantly adapting its practices to cater to the communication and strategies the team needs. 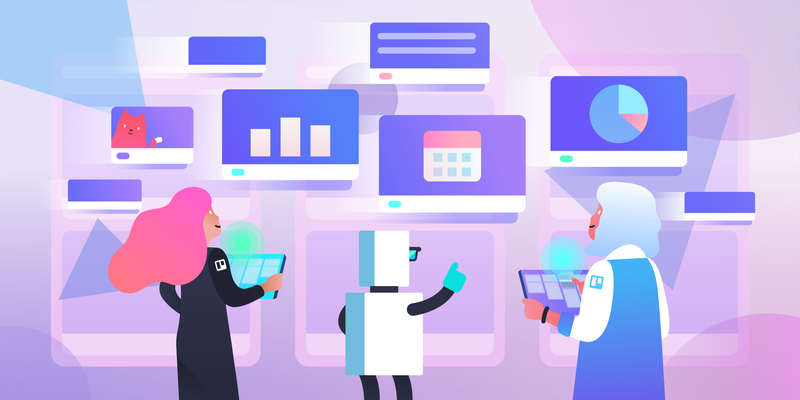 From open roadmaps for two different products, editorial calendars, team hubs, and even a Trello template for running growth experiments, Buffer’s team runs on Trello boards. As a manager of multiple direct reports, things can get busy. But Atlassian engineering manager Ben Mackie explains the importance of having 1:1 check-ins with each person at regular intervals. 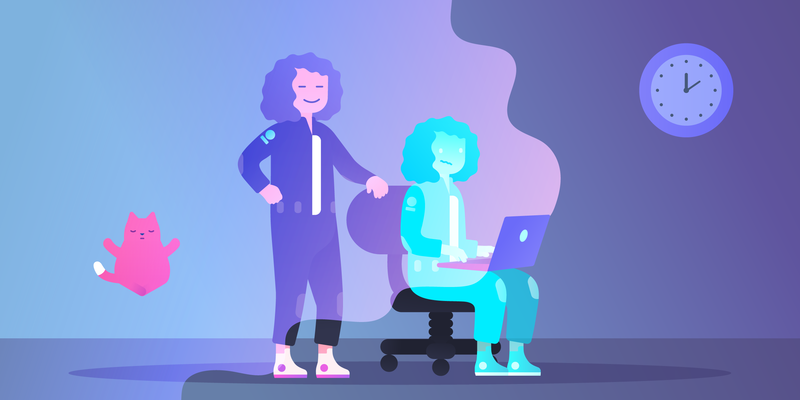 By establishing a routine of confidential 1:1s, employees know they have a space of their own to discuss anything they need to, whether it’s reflections on their workload, their career goals, or just to understand the priorities. Naturally, Ben uses a Trello board with each of his direct reports. He creates lists for topics for the Team Member, topics for the Manager, long-term goals, and action items that require follow-up. He also advises on best practices for holding 1:1s, like encouraging candor and making the agenda democratic. All creators can relate to this sentiment. It’s easy to come up with the content, but putting it out into the world requires organization and scheduling. 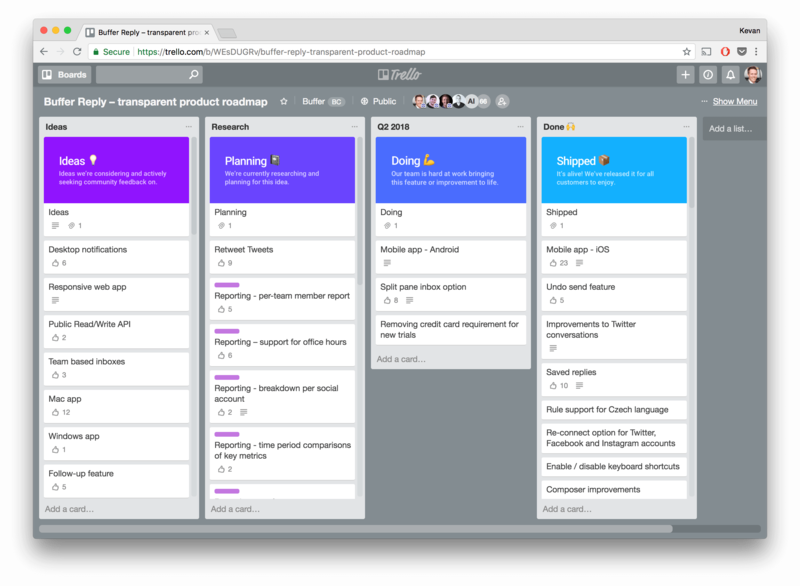 If you’re more right-brained like Jay, take a look at his podcast editorial workflow Trello board. Even if you don’t have a podcast, it can be applied to any kind of project that has a left-to-right, start-to-finish, step-by-step process to it. 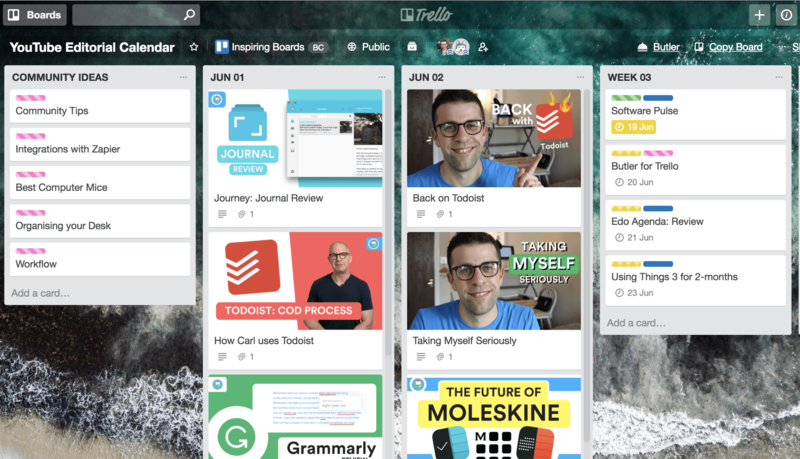 How are you using Trello to stay inspired? 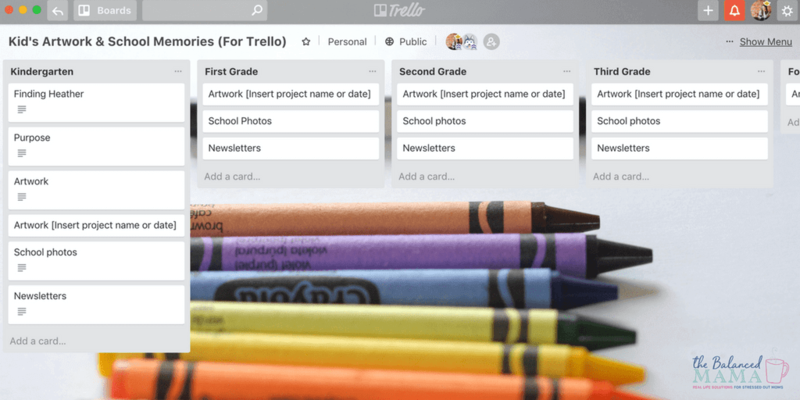 Share your Trello story for free Gold!